An ideal choice as a “quiver of one” for the advanced freerider who values clean turns and efficient use of terrain, the Elan Ripstick 94 Skis will rail groomers with the best of them and still handle a foot of untracked like a pro. Loaded with Elan s top of the line tech like TNT Technology (in Elan speak that’s a Tubelite core with interior carbon rods and Vapor Tip inserts to lighten the swing weight) and the unique Amphibio profile which puts camber under the inside edge and rocker under the outside. All this verbiage may seem like hocus-pocus to some, but the proof is in the skiing and you’ll be a believer after only a few runs. 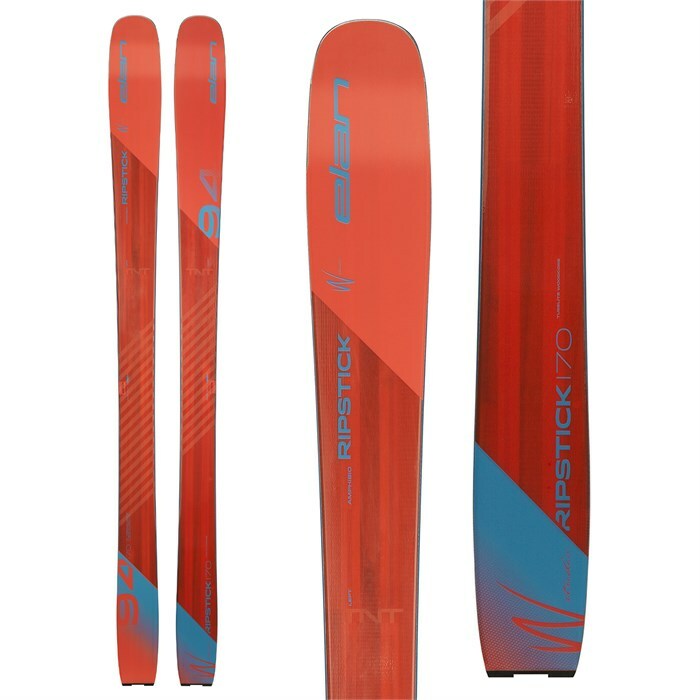 Amphibio Profile – The Amphibio profile is a revolutionary ski design that integrates both rocker and camber profiles into dedicated left and right skis. Amphibio skis feature a cambered inside edge assuring precision, edge grip, and stability while a rockered outside edge provides forgiveness, turning ease and smooth transitions.